A quick look around the Conference. The Glendale Falcons are the defending Conference Champions, finishing 9-0 last year as they were led by Alix Opfer and Molly Brewer, who are now regulars at Division 1 Missouri State. The Waynesville Tigers finished 2nd at 7-2 followed by Camdenton and Lebanon at 6-3. The Falcons finished 4th in the State last year after winning District 11, defeating Central in the Sectionals and Rock Bridge in the Quarterfinals. They fell to eventual champion Cor Jesu 0-1 in the semifinal and 1-3 to St Joseph in the 3rd place match. 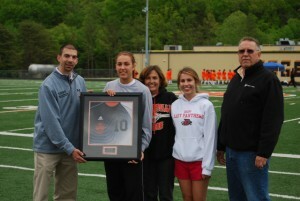 The Falcon’s have 7 seniors with forward Driana Raff the returning high scorer with 9 goals in 2012. She also dished out 8 assists, also the top returning number. I would expect sophomore Olivia Wolfram to challenge for minutes up top although Kenzie Robbins, who led the JV with 11, may be a better fit with Raff in a 4-4-2. Junior Kindra Lierz, who played in the ECNL League for SLSG this Winter, returns in goal for the third year. The Falcons open the season at Ozark on Tuesday March 19th, game time is 5:00 pm. The Tigers return 6 seniors, including defender Jordan Kilthau, the POY in the Southwest Region last year. Defensive Player of the Year Kaitlyn Winking joins her but the Tigers will need to replace their All-Region goalie. Senior Leslie Larson will step into the role. Senior Rhiannon Moore, an All-Ozark performer in the midfield, has signed to play D2 soccer at Kentucky Wesleyan. 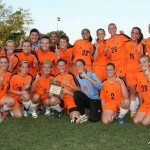 I can’t find any individual stats on the Tigers otherwise excellent website but knowing Head Coach Mike Gow the way I do he’s spent plenty of time reminding the girls that this is the best team Waynesville has had since 2008 when Katie Pritchard and Tasha Lord took them their second straight Conference title while setting State scoring and assist records. That team couldn’t get past Glendale in the playoffs however, despite earning their first ever win against the Falcons earlier in the year. This group got to Sectionals last year and the core of this team set a JV record for wins as freshman. Do you think they will be motivated to reach new heights? Via Rolla Daily News – Last season was the first losing campaign in the history of the Rolla High School girls’ soccer program. And veteran Lady Bulldog head coach Mike Howard expects his squad to return to its winning ways this spring. Rolla is slated to open the season on Friday at Columbia against Rock Bridge High School, which has made it to the state tournament quarterfinals the past five years. The varsity game is to begin at 4 p.m. Starting a large group of freshmen and sophomores, Rolla struggled to a 8-13-2 mark last season. 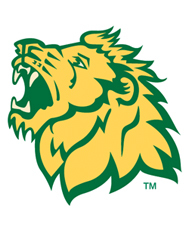 The key graduation losses from that squad were senior midfielder Kendra Wood, now a member of the Missouri S&T women’s soccer team, and back Taylor Tronstad. The Lady Lakers open their season Friday at Fatima, a Class 1 program in Central Missouri. Lebanon	Yellowjackets open at Marshfield next Tuesday at 7:00 pm. The Kickapoo Chiefs open their season Friday at 5:00 pm at Republic, a Class 2 program. They host Central on Saturday morning at 10:00 am. 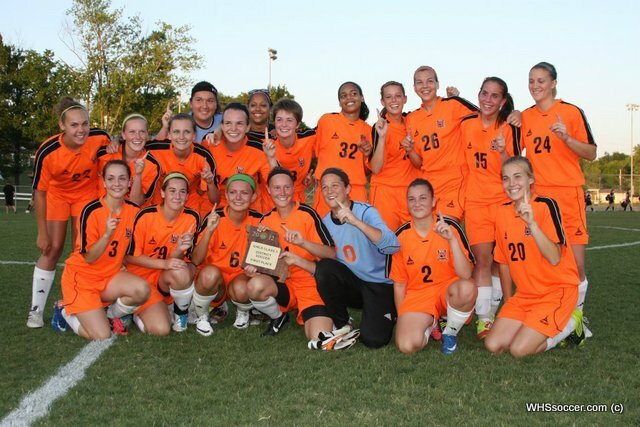 Central are the defending District 12 Champions, which now is made up of Joplin, Kickapoo and Parkview. This is an early District match up added to the schedule with the District realignment. West Plains Zizzers are at the season opening Harrison (AR) ReMax Tourney where they’ll play a pair of games. Joplin Eagles won’t open until March 26th when they travel to Carthage. Hillcrest Hornets open at Neosho on March 20th at 6:00 pm. Thanks for visiting Springfield Soccer, the place for INFORMED COMMENTARY on the beautiful game in Southwest Missouri. 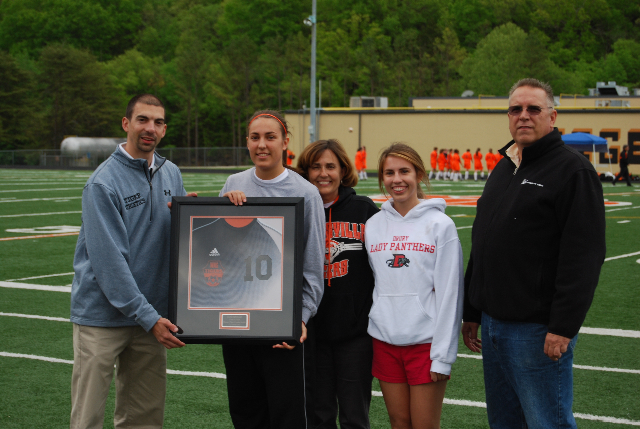 Katie Pritchard, class of 2008, was recognized at Slaughter Field Tuesday evening for her high school soccer accomplishments. The special recognition took place between the JV and Varsity WHS soccer matches with opposing teams from Joplin High School. Katie, a four-time all state soccer player, finished her high school career as the leading goal scorer in the state of Missouri. She finished her four years with an astonishing 171 goals which is 1.86 goals per game. In her first high school soccer match she scored her career game high of six goals. Later in her career she duplicated those scoring efforts in match play. Additionally, Katie was a recognized district and state basketball player for the WHS Lady Tigers and achieved academic honors while attending Waynesville High School. Camdenton’s Ashleigh Paschel opened the scoring, placing a shot into the left side-netting about 10 minutes into the first half. Parkview tied the game about five minutes later, with Shelby Stewart sprinting onto an Anna Withers through ball and touching the ball past the Camdenton keeper then sliding in her shot from a wide angle. Both teams created chances in the second half with the keepers coming up strong. The Laker’s high energy offense, based upon doing a few things well, was clicking but the Vikings defense was up to the challenge. It was remarkable to watch, as the Laker’s pushed harder Parkview remained calm and confident in their ability to prevail. Their confidence was rewarded when senior Jessica Maerz got the game-winner with less than two minutes in regulation. Maerz collected the ball along the left sideline and shot, dropping the ball in under the crossbar from 30 yards. The Vikings now move to 5-0 in the Conference and remain the only undefeated Conference team. Camdenton falls to 3-3 in the middle of the table. Another shutout for the Bulldogs who quietly move up the table, sitting second now at 6-1 in the Conference. Lebanon is now 3-3, tied with Camdenton. The Tigers came out strong on an evening when the school was recognizing four time All-State player Katie Pritchard, retiring her jersey number. Goals were scored by Jesslyn Clark (2), Rhiannon Moore, Janelle Miller and Loriann Clark. The Tigers move to 2-4 in the Conference, Joplin falls to 1-4. The Chief’s scored three in the first, opening in the 22nd minute on McKenna Adams unassisted run down the middle of the field. Adams added a second in the 37th minute with a shot from 28 yards that fell in over the keeper’s outstretched arms into the net. Marin Gelsheimer scored in the 39th on an assist from Adams, Megan Melugin scored off a rebound from a McKenna Adams corner kick in the 48th and Adams completed her hat-trick on as assist from Marin Gelsheimer in the 61st. McKenzie Danzer returned to the goal tonight for the shutout. Kickapoo and Glendale are now tied for third in the Conference with matching 4-1 records, behind Parkview and Rolla. 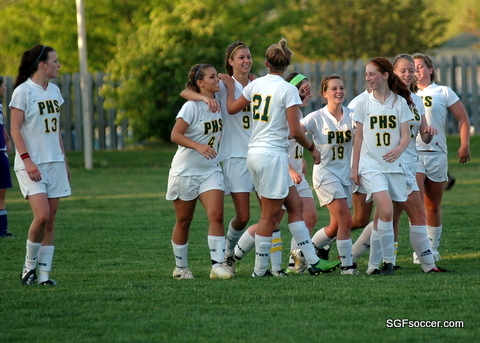 Parkview visits Kickapoo on Thursday in a key Conference and District match for both programs. I’ll be there!